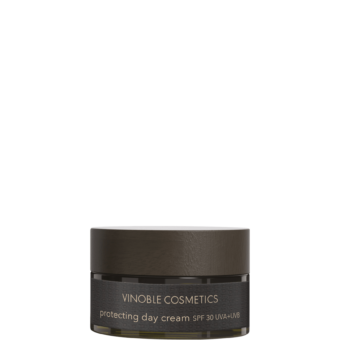 Protective sun cream for the face and body with SPF 30 UVA+UVB. It’s absorbed quickly by the skin, leaving a pleasant feeling. 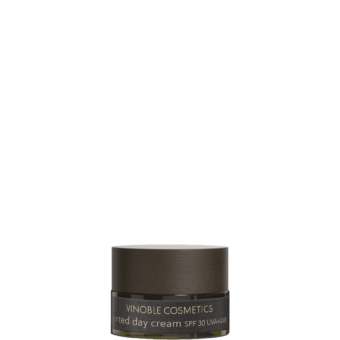 The combination of active ingredients, consisting of grape stem cells and SPF 30 UVA+UVB, protects even sensitive skin. Free from synthetic fragrances, it is particularly suitable for children and sun allergy-prone skin. Apply liberally and massage into the skin 20 minutes before sunbathing. Smaller quantities reduce the level of protection. Apply repeatedly to ensure constant protection, especially after swimming, towel-drying the skin or sweating. Even when using sunscreen products, do not spend too long in the sun and avoid the intense midday sun. Overexposure to the sun poses a serious health risk. Do not expose babies and toddlers to direct sunlight, and always use a sunscreen with a high sun protection factor (SPF higher than 25). Even sunscreens with a high sun protection factor cannot offer complete protection against UV rays. Wear protective clothing, hats and sunglasses – this applies in particular for babies and toddlers. Avoid contact with clothing, as this can cause permanent discoloration.